If you follow my Facebook you’ll know that I finally submitted my first draft! That was definitely a challenge getting my modern Quilt As You Go technique into clear and concise words. Now I have 3 weeks to finish 4 more quilts plus a home dec pillow, PLUS adding backing and binding on 9 quilts! YIKES. Wish me luck!!! 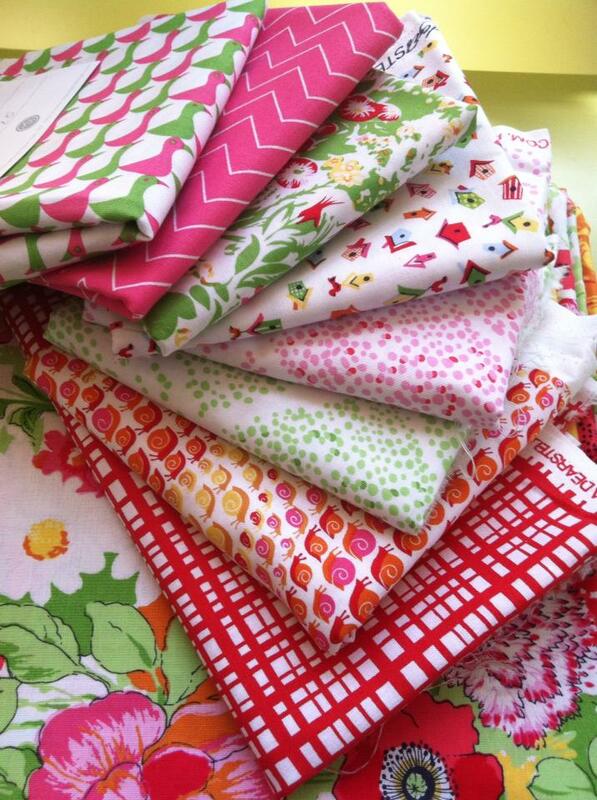 Remember these pretty fabrics I posted a while back? They’re from the Clementine collection by Dear Stella. Here’s a detail shot of my quilting. As I’ve been working on the book, my technique has continued to evolve. I just love how intricate you can get with the quilting without needing a fancy sewing machine. This may look like free-motion quilting, but I actually used a straight-line stitch setting. I simply moved the block left and right underneath the presser foot to make it sew a wavy line. It’s a damn good feeling when you can say you’ve finished a quilt, patchwork and quilting. Also, I just had to share this beautiful and inspiring quilt that Tiffany, my friend and fellow fabricholic, made after taking my improv Quilt as You Go class. This is all her. No patterns were followed. It has a beautiful mix of abstract and traditional looking blocks. It’s near completion, all she needs to do is bind it. (btw, if you’re interested in taking a class I should have some new ones up in late September. I’ve been on a temporary hiatus for the book). 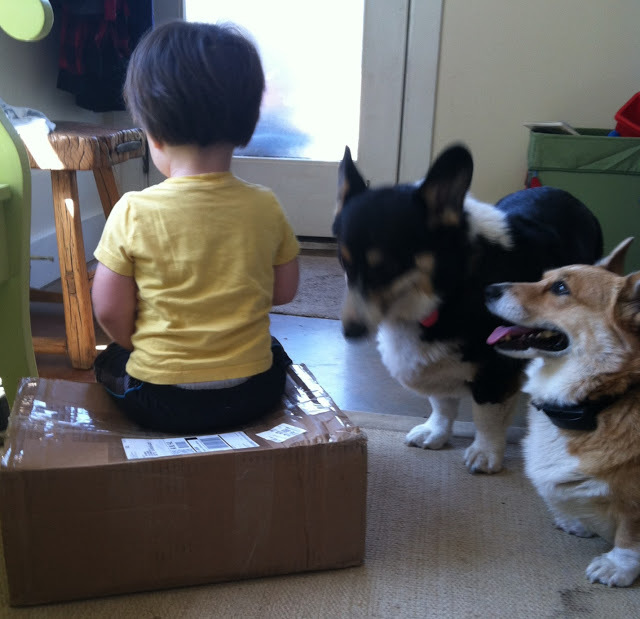 Last but not least, I got a very nice package in the mail the other day that made me a very happy girl. 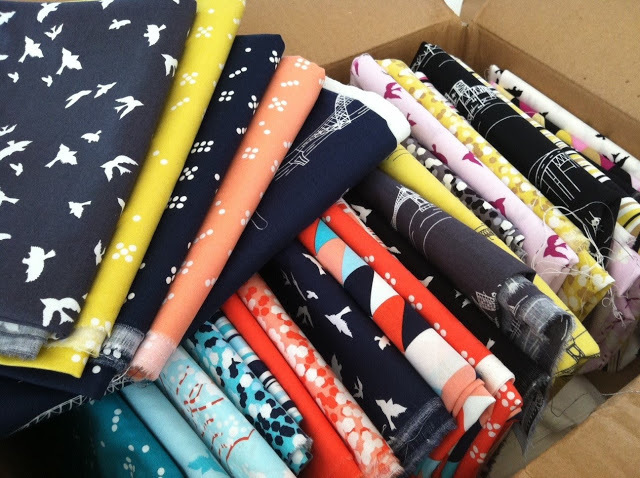 Thanks Michael Miller Fabrics for the hookup! This collection is called Waterfront Park. I’ll be working with these next, so check out my Facebook for updates. 🙂 I’m always posting pretty pictures. 12 Responses to Sew Mama, sew! 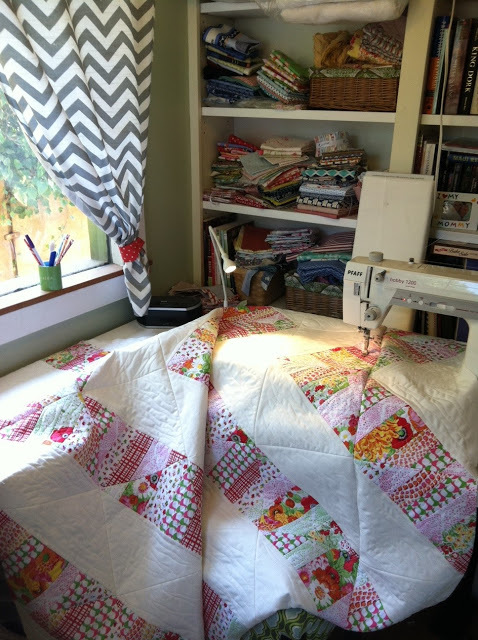 Beautiful, love the free style quilting – going to have to get your book! Your friend's quilt is great, I've got lots of scraps and this gave me inspiration to use them. P.S. I like your Chevron curtains with the red tie-back – Cute! Oh wow! Put me on the list for that book! I can hardly wait! I don't do Facebook so I've been watching your blog for book updates ever since you posted the good news 🙂 If there's a WANT list, I need to be on it too, lol! I've finished a toddler sized QAYG quilt, #2 is under construction, and 2 more are planned (12+ meter score on Laurie Wisbrun's Brrr! line, yay :D). I'm SO looking forward to your book, and getting some fun new ideas! Beautiful Fabric and awersome quilts.Vish You lack!:))Thanks. 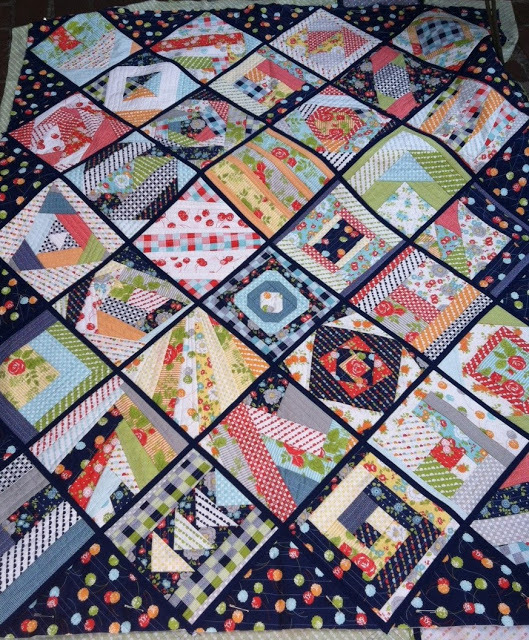 I love how you pulled together the sampler blocks with Navy sashing and the bold polka dot print 🙂 Great idea! Everything is beautiful! 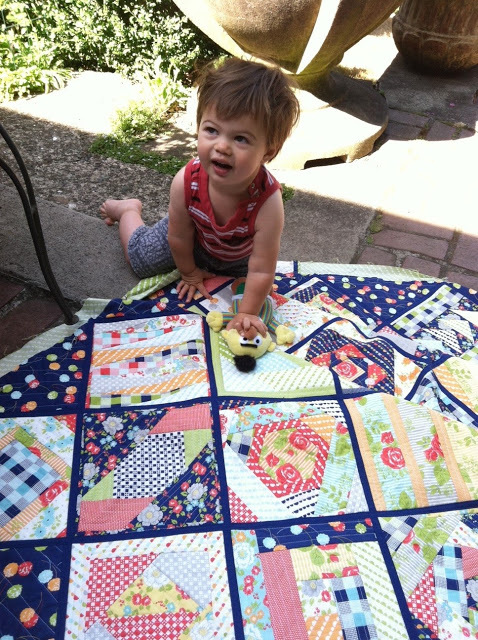 =) Do you do your own quilting on all of your quilts? Also, are most of your quilts "quilt as you go"? Thanks Zenia! 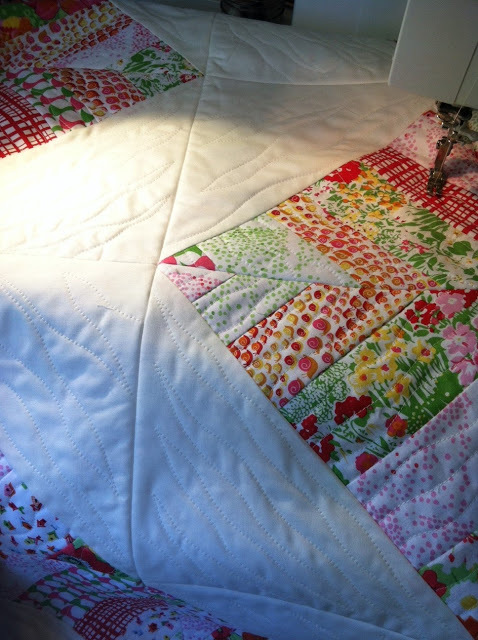 All of my newer quilts are Quilt as you Go because i'm writing a book on it which will be published in Fall 2014. 🙂 The quilt in this post is Quilt as you Go. Quilt as you Go makes it easy for you to do your own intricate quilting, so yes, I've done the quilting myself on these. Awesome! The only quilt as you go quilts that I've done are rag quilts, but you've inspired me to try others. Congrats on your 1st draft! How exciting! I'm looking forward to getting your book when it comes out! What stitch length do you use on your quilting? Your room is so quaint! I know you said you got the furniture from Ikea but I looked and looked and can't find the table with the drawers.